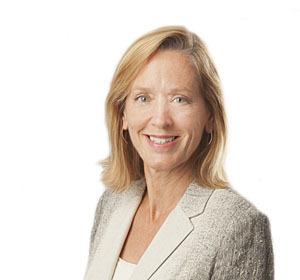 Janet Anderson provides clients with strategic counsel on numerous issues related to the intersection of business initiatives and energy and environmental policies. In particular, she focuses on the areas of global climate change, electricity, energy efficiency, clean tech, and air quality. Janet’s experience as an engineer in the private sector, in addition to her government service, give her a unique perspective on clients’ requirements regarding project investment decisions, such as matters arising around New Source Performance Standards (NSPS), Prevention of Significant Deterioration (PSD), operating permits, data analyses, and stakeholder outreach. Prior to joining Van Ness Feldman, Janet served as the Director of Industry Policy for the White House Climate Change Task Force and as a Special Assistant to the Secretary at the Department of Energy. She also worked at the Northern States Power Company (now part of Xcel Energy) as a manager and an engineer. Janet serves on the board of VNF Solutions. Provides strategic counsel to clean tech companies in renewable energy and advanced controls. Provides environmental counsel to utility trade association. Developed numerous successful applications for federal funding assistance in clean tech, advanced fossil fuels, and renewables projects. Provided analyses for basis of successful challenge to EPA rules on distribution of emission allowances. Developed successful submissions for multi-million dollar tax credits for efficient manufacturing. Negotiated consent decree to settle notice of violation (NOV) of air quality regulations. Speaker, "Hot Topics in Environmental Law: EPA's Mercury and Air Toxics Standards Proposals"